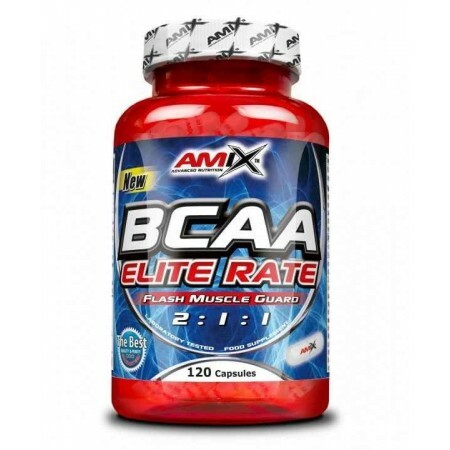 AMIX ™ BCAA Elite Rate 500 capsules is a combination consisting of branched amino acids of superior quality. The branched amino acids, also called BCAA's (Braced Chain Amino Acid) are three essential amino acids (L-isoleucine, L-leucine and L-valine) that our body can not produce by itself. It is therefore recommended nutrición24 this nutritional supplement for being so necessary consumption. The BCAA's maintained a ratio of 40% in our diet, so their nutritional value through proteins is quite high. - They are essential for the metabolism of vital organs for their participation nitrogen in the cells. - Stimulates protein synthesis so absorption is optimal. They are a vital supply of energy for muscles when exercising. - Prevents fatigue in the long days of intense exercise. - Helps building muscle mass as well as its maintenance. On days you do not exercise or perform other activities that require effort the risk of losing muscle mass is greater. This effect is especially significant for people who have had health problems and could not exercise. To prevent this catabolic effect, an investigation whose results showed as consumers of these three amino acids had better physical was performed. In this case, nitrogen balance was positive; people in the control group (those not taking BCAA's) suffered loss of muscle tissue. In nutrición24 we follow the latest science on sports supplementation. Our products are tested and subjected to quality controls of the best brands. 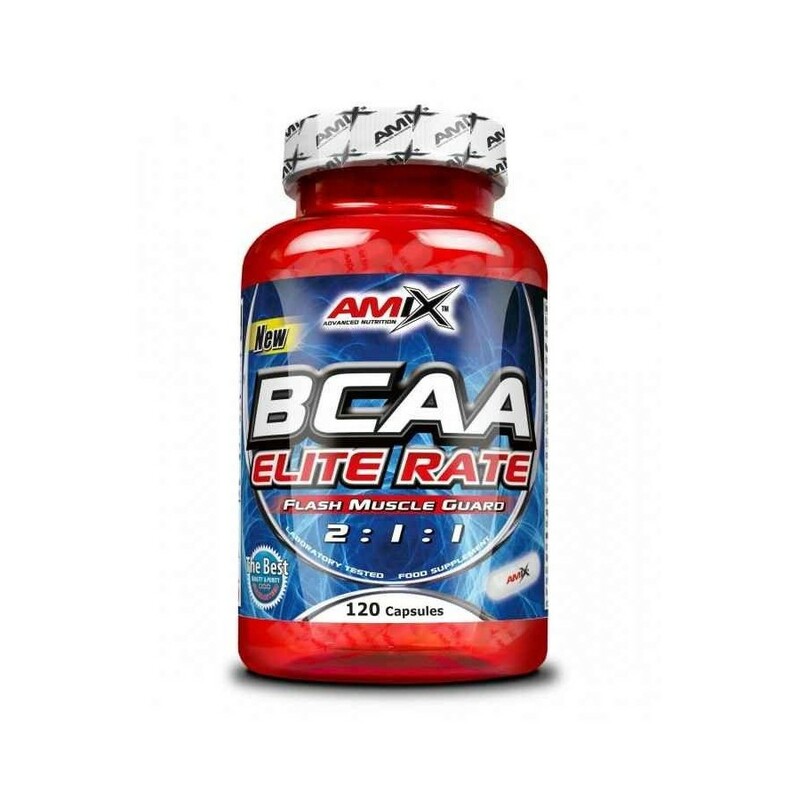 In the case of AMIX ™ BCAA Elite Rate 500 capsules manufactured with the latest technology. AMIX ™ BCAA Elite Rate 500 capsules maintains a ratio 2: 1: 1 in essential amino acids (leucine, isoleucine and valine). Studies show that this ratio is more efficient to nourish the body in top condition. Provides abundant BCAA which is a clear indicator of nutritional quality. AMIX ™ has a spectacular career as a brand of sports supplementation. It is recognized worldwide for its products. The confidence of consumers, quality assurance, and the attractive design of its products make it a benchmark. Also sensitive manufacturing processes and its policy of innovation makes it one of the brands chosen by athletes.